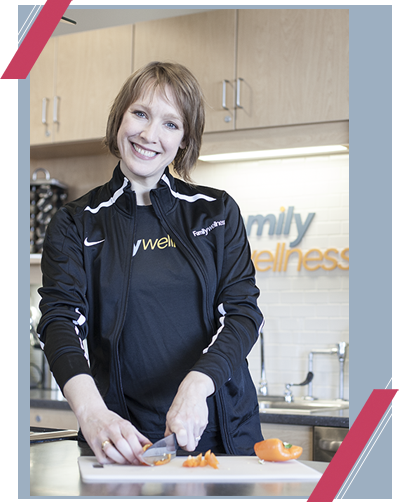 Purchase your copy of the Family Wellness Healthy Cookbook for only $25 at the Front Desk! With over 100 recipes, your family will love what’s for breakfast, lunch and dinner. 100% of the proceeds will go to the Inspire Wellness Initiative! You pick the date, menu, and participants with this fun customized interactive class! We can accommodate groups of 3 to 50, perfect for birthday parties, corporate wellness/events, team building, or anything else you can think of! For pricing, menu option ideas, and all the other details check out our Custom Healthy Cooking Menu. If you have questions or would like to book your class, email Nicolle at Nicolle.Aukland@sanfordhealth.org or call her direct at 701.234.8162.